After graduating from the Medical University of Tunis, Dr. Naima Ben Moussa followed her passion in ophthalmology and completed her training and studies in France and USA. Dr. Ben Moussa undertook her fellowship in macular degeneration and retinal disorders from the University Department of Ophthalmology – Centre Hospitalier Inttercommunal de Créteil, France; and her diploma of macular treatment and retinal imaging from University Paris 12. 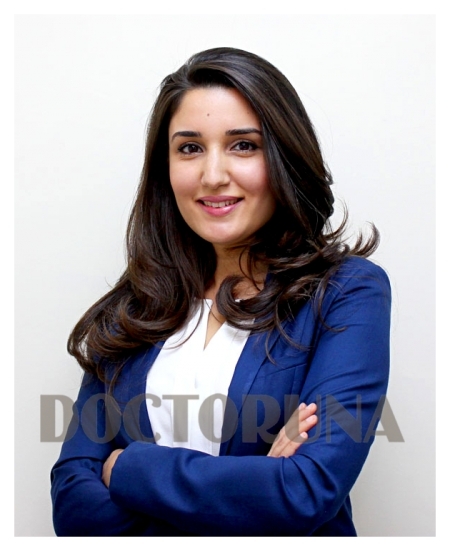 Moreover, she obtained a diploma in phacoemulsification and refractive surgery from the University of Bordeaux and the University Sabatier of Toulouse, France. Dr. Ben Moussa also received training in refractive surgery at Rothschild Foundation of Paris from esteemed consultant eye surgeons, she also received advanced training in in-situ corneal excision techniques at MidWest Eye Banks in the United States. Furthermore, she has made several presentations in international conferences and has publications in international journals. She developed special interest in treatment of retinal diseases (age related, diabetic, vascular disorders), pediatric eye disorders (squint, allergies) and refractive and cataract surgeries.